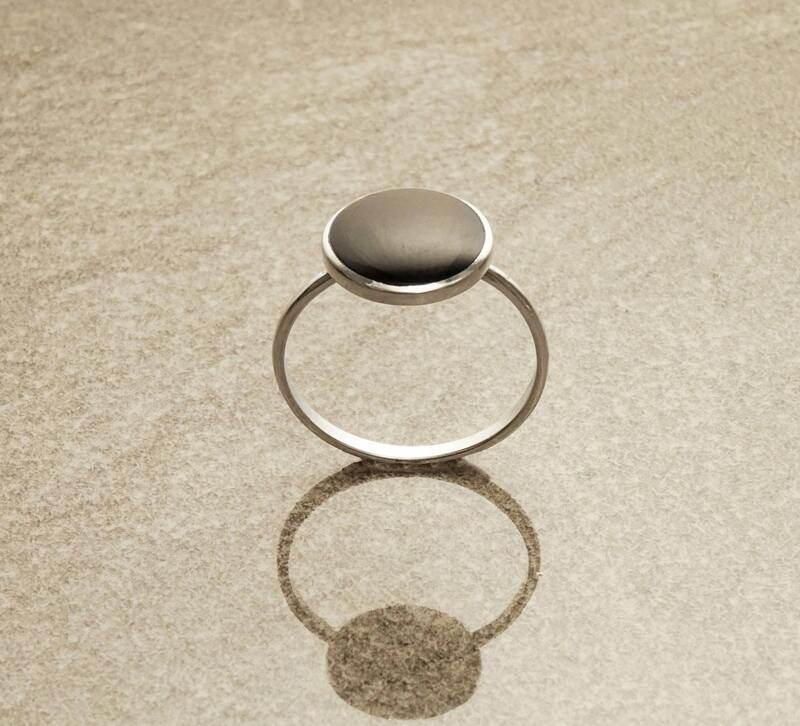 Simple and Chic in Design, this Sterling Silver Round Ring is set with a Black Onyx Gemstone with a Deep Black Reflection. The ring can be worn alone, or you can Stack as much as you like to express your own personal style. 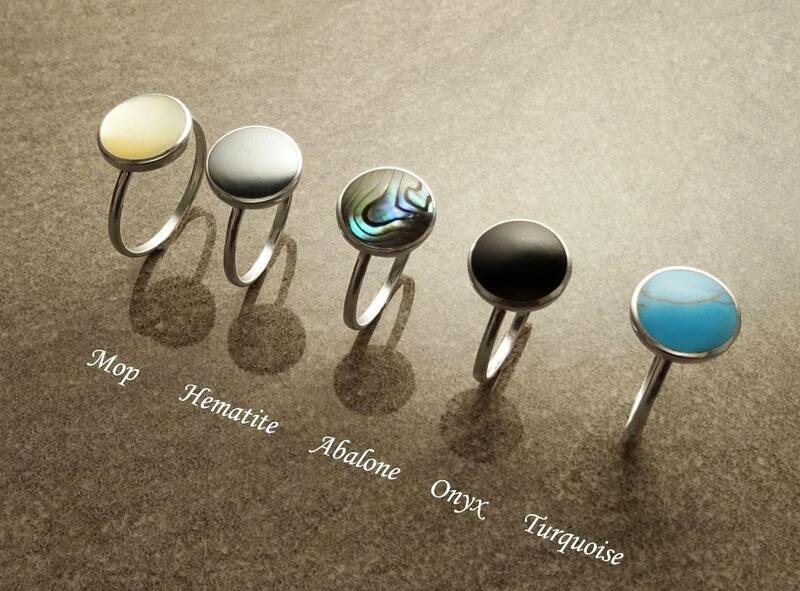 Mix & Match the Forms (Square, Round, Oval) and Colors (Turquoise, Onyx, Hematite, MOP, Abalone) to Make Your Ring Unique who Looks Like You. 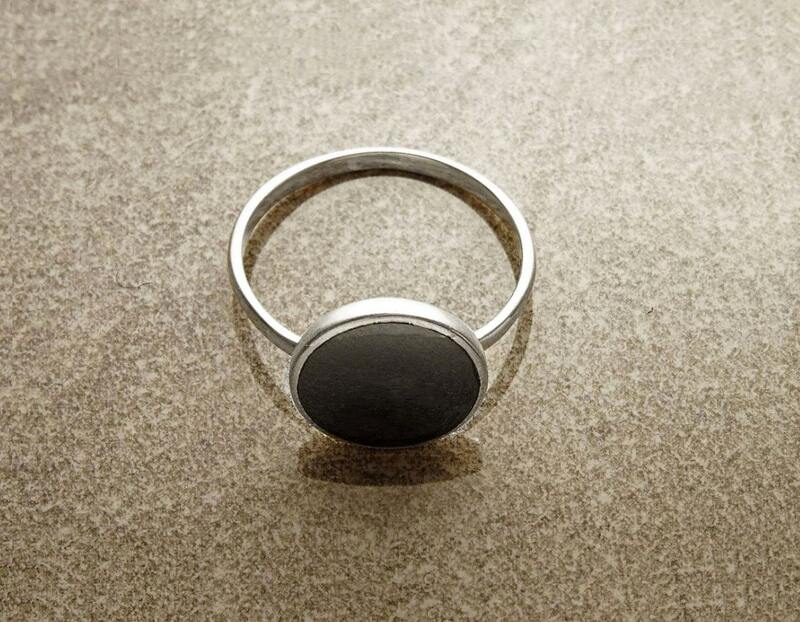 Ring features a 1.0 cm diameter MOP. Average silver weight : 1.3 gr. * Ring can also be done with Blue Abalone Paua Shell for a great combination. 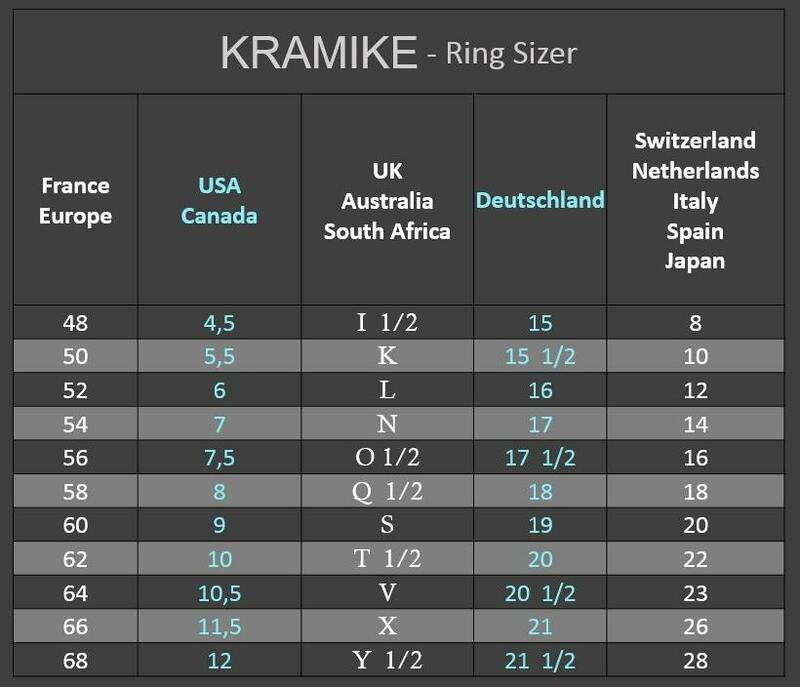 * Ring can also be done with Hematite Gemstone for a deep Gray version. 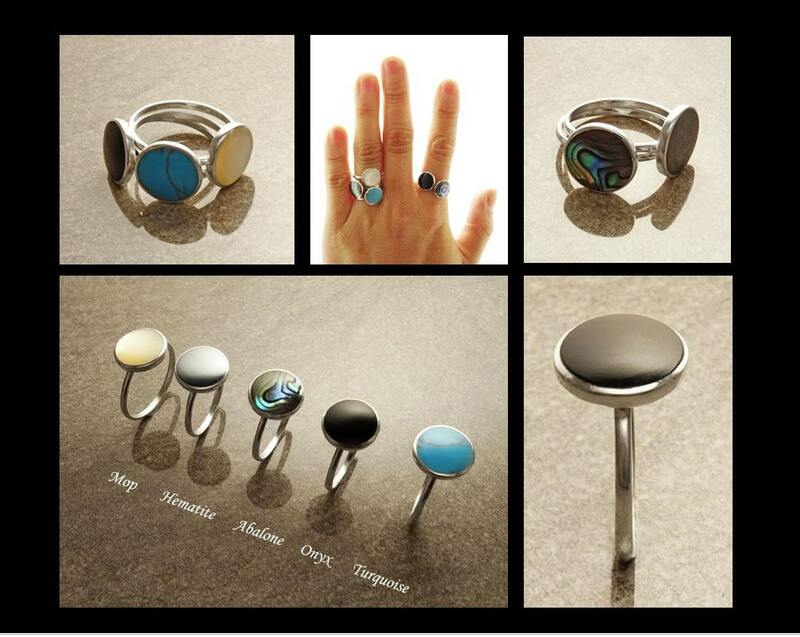 * Ring can also be done with Blue Turquoise for a great combination. * Ring can also be done in Square Shape. 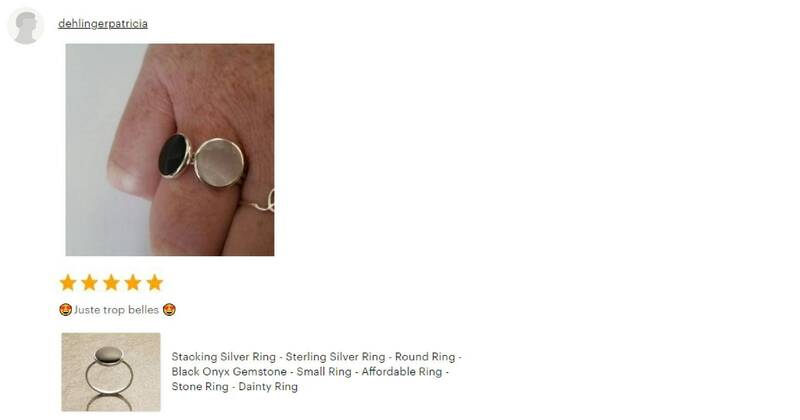 * Ring can also be done in Oval shape. Coming soon.